Many years ago in order to get an exact copy of a document quickly the only way this could be done was to write on ordinary paper with a sheet of carbon paper underneath it which in turn was above another sheet of ordinary paper. The pressure applied to the top ordinary sheet caused the carbon to be imprinted onto the sheet below it so that an exact copy was instantly made. Carbon paper was expensive and the process time consuming and fiddly until paper manufacturers invented a special paper which did the same job as carbon paper. This paper was given the inspirational name of "No Carbon Required" or NCR for short. 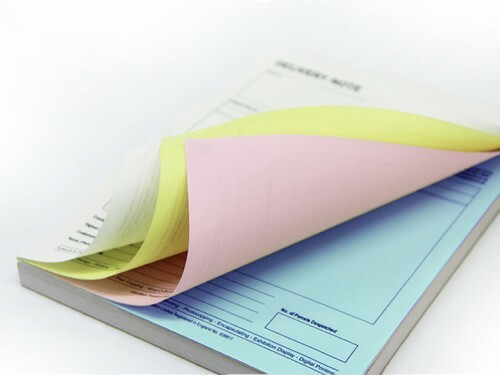 Once a job has been printed onto the various parts of NCR paper, the parts are then collated together and a setting glue is applied to the required edge which automatically separates the NCR into the sets required. It is a very intelligent glue as it knows where one set begins and one set ends. It does this by reacting to the various coatings on the NCR paper so it's not as clever after all! 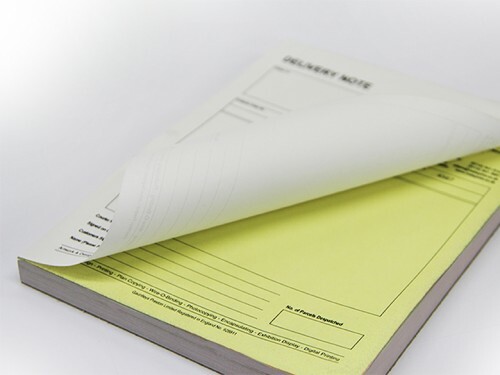 Our 2 part, 3 part and 4 part NCR pads are first glued into sets, then they are put in a padding press and glued on either the top edge or side with a PVC glue. Although the glue holds them securely the individual sets can be torn out easily for filing. Each pad comprises of 50 individual sets and has a sturdy backing board and is supplied with card writing shield. The NCR sets within the pad can be numbered pads and can also have conditions printed on the reverse side. 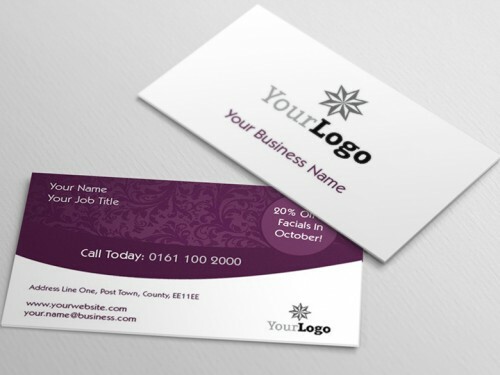 If you do not have print ready artwork we offer a professional and cost effective in-house design service to complement our NCR printing service if required. Call us to discuss whereupon we can give you an extremely competitive quotation. 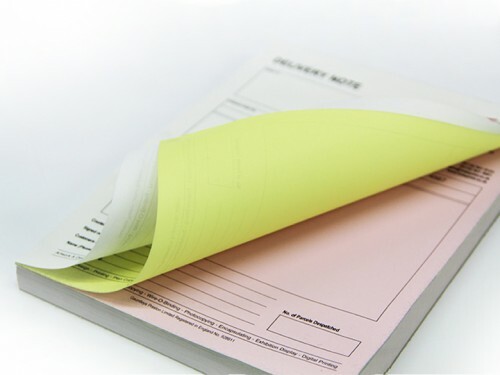 All our NCR pads are personalised and printed with a design of your choice, this can include your logo, your business details, a form/table and anything else you may need, ideal for use as delivery notes, invoices, order pads, receipt pads or any other forms where you might need duplicate, triplicate or quadruplicate copies.